Chacey R. Malhouitre is a Member in the Health Care, Equine Law, and Financial Services industry groups, focusing primarily on health care regulatory issues, health care litigation, commercial litigation, and bankruptcy. She practices out of the Firm’s office Lexington, Kentucky. Chacey’s wide spanning practice allows her to work with an array of clients. Her health care practice ranges from representing and advising clients regarding corporate, licensure, billing, reimbursement, and compliance matters, to representing clients in various regulatory matters and proceedings. Chacey has represented multiple types of health care providers in litigation, including physicians, hospitals, and national long‑term care providers, such as pharmacy and rehabilitation companies, regarding matters ranging from contractual disputes to medical negligence. 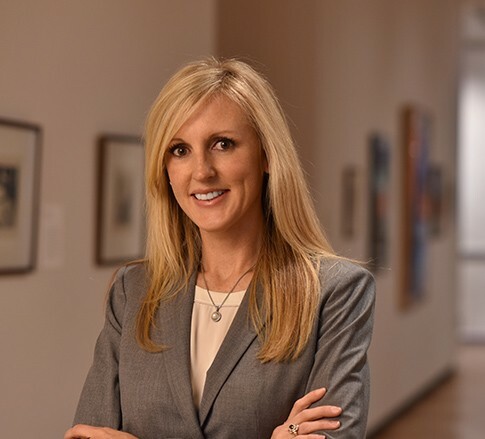 In her commercial law practice, Chacey regularly represents clients in contractual negotiations as well as litigation matters in state and federal court. She also represents creditors and other parties in interest in Chapter 7, 11, and 13 bankruptcy proceedings, including litigation stemming from bankruptcy proceedings, such as defending creditors in preference actions, contesting a debtor’s discharge, and defending bankruptcy fiduciaries. Growing up with horses, Chacey is uniquely knowledgeable in equine matters. Her husband is actively involved in the Thoroughbred industry in the United States and Europe. She understands the day-to-day issues facing the small farm owner as well as the larger operations. She regularly attends the public auctions and also understands the issues affecting the consignors and veterinarians. She has worked on matters for equine clients involving a number of issues ranging from purchases at public auction to equine insurance claims. At the end of the day, however, Chacey’s favorite aspect of her practice is using her skills to obtain a good result for her clients, whether it’s a ruling in favor of the client, an out-of-court resolution, or the completion of a transaction.